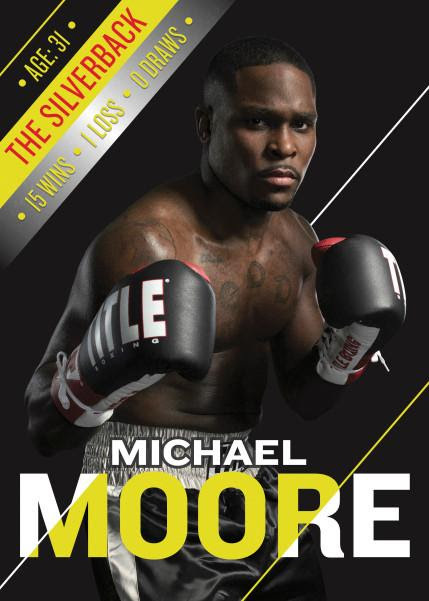 Middleweight Michael Moore will appear on the upcoming season of the Contender. The highly anticipated 12-episode season, from MGM Television and Paramount Television, will premiere on EPIX® on Aug. 24, 2018 at 10 PM ET/PT. Moore of Cleveland, Ohio has a record of 15-1 with 7 knockouts. The 31 year-old Moore, who is riding a two-fight winning streak will be able to gain worldwide exposure by competing on the popular television program. Moore is reformed from a hard life on the street. With drugs, death and family suicide prevalent around him, Michael Moore is a natural hustler and leader. Married with two kids, Moore is constantly moving from state to state with his family in tow in pursuit of the boxing dream. “I feel blessed to be part of The Contender series because I know there were a lot of other fighters out there that are good like me and have stories of hardship like me,” said Moore.